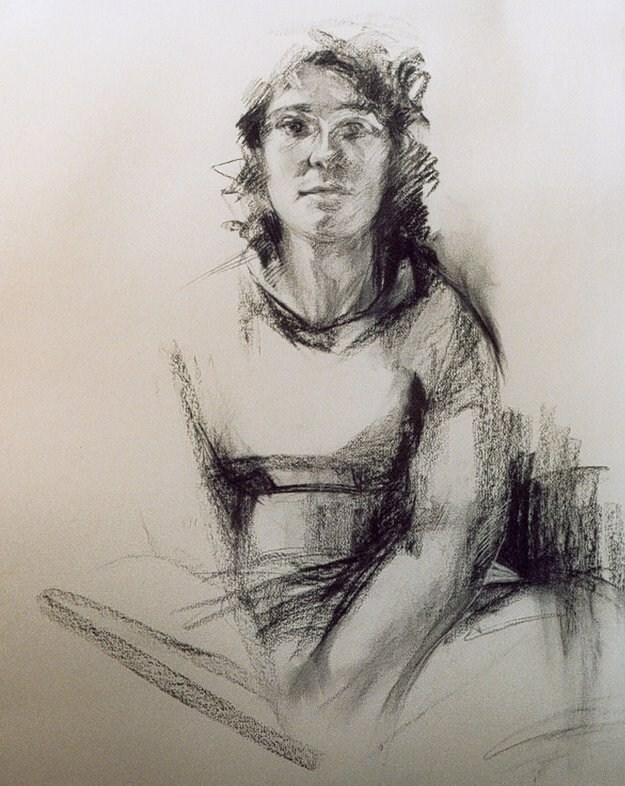 Even though some people consider original drawings as not being totally accomplished, perceived as less valuable or unfinished pieces of work, most often times good drawings are better than low quality colour paintings. 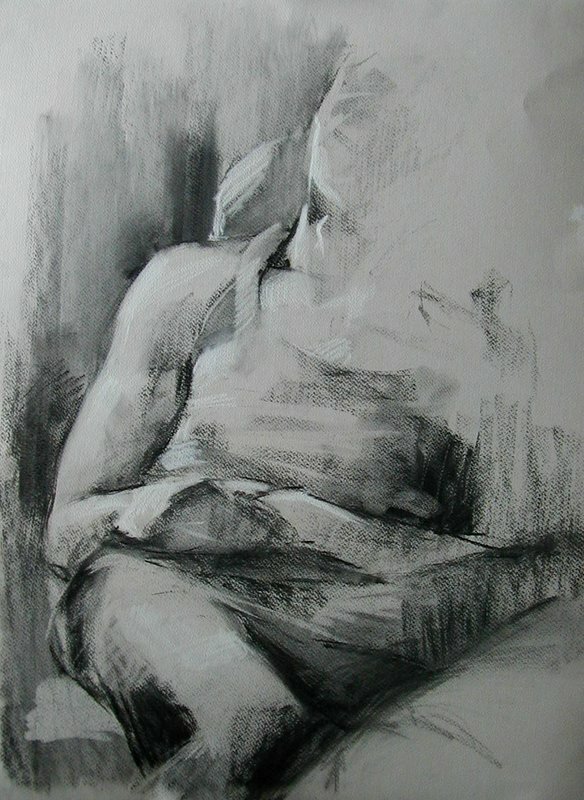 It may be due to just a professional interest, as it is much harder to express on simple tonal values, where there is no possibility of “hiding mistakes” under a lavish colour pattern. But it may be also due to the possibility to see each artist’s unmistakable mark making. 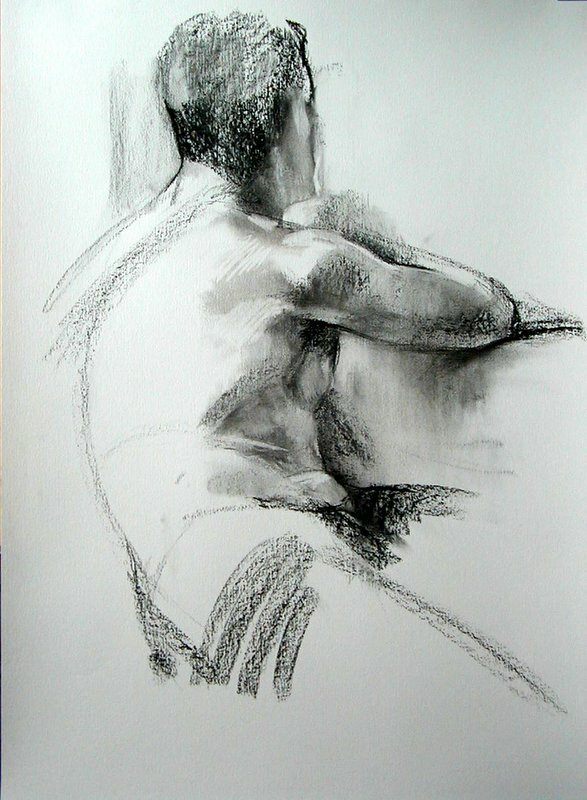 I have added several pictures on studies done while in Florence, where I was given the opportunity to explore these notions.There I attended several Art Schools, but mostly, I was able to contemplate one of the best Schools of Western Drawing-the Italian Renaissance. 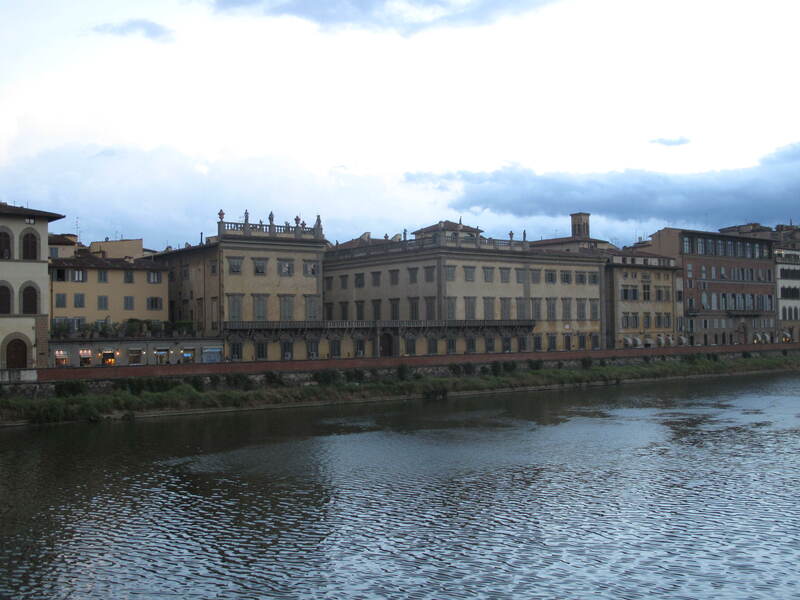 Wandering along the river Arno in search of open views of the city, I found myself near Palazzo Corsini. Comtessa Livia granted me permission to paint in and around the Palazzo,but instead of focusing on the exterior as was my initial idea, I got fascinated by the interior halls. 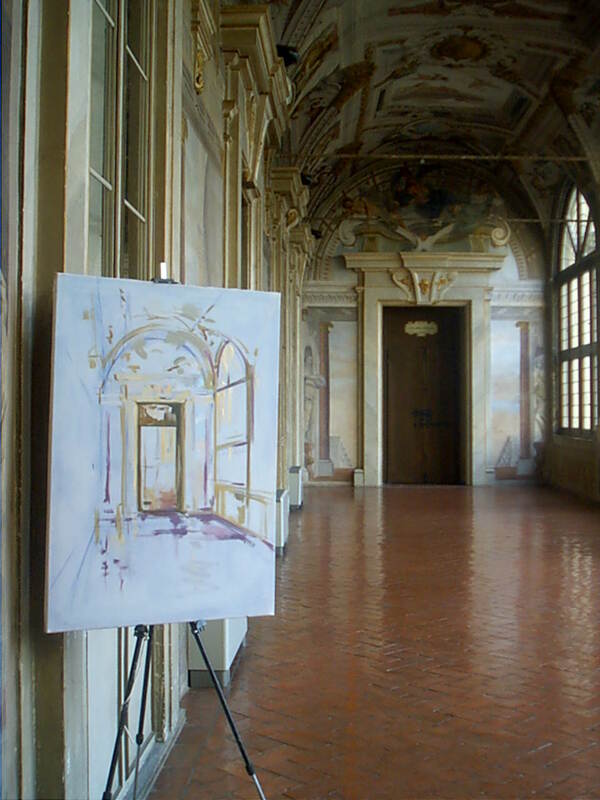 La Galleria dell’Aurora is one of the most beautiful locations in which I have painted.